CHATFIELD, Minn. – Jeff Samson, from Middle Ridge, Newfoundland has been awarded the coveted Pope & Young Club’s Ishi’ Award, the highest honor the Pope and Young Club can bestow upon a bowhunter. This honor is awarded only when a truly outstanding North American big game trophy animal is deserving of recognition. In 1962, the Pope and Young Club introduced the idea for a special bowhunting award, named in honor of Ishi since he had instilled in Pope and Young the love of the bow and its use as an efficienthunting tool. The award was designed by Fred Bear with assistance from Chuck Kroll. The Ishi award plaque is a very fine, select grade rosewood nearly perfect in color, grain and texture donated to the Club by Fred himself. The final touch is the specially made obsidian spear point fashioned by Jim Ramsey of Lincoln, New Mexico. These hand chipped points, mounted on each rosewood plaque along with an engraved metal plate, completes the treasured Ishi Award. 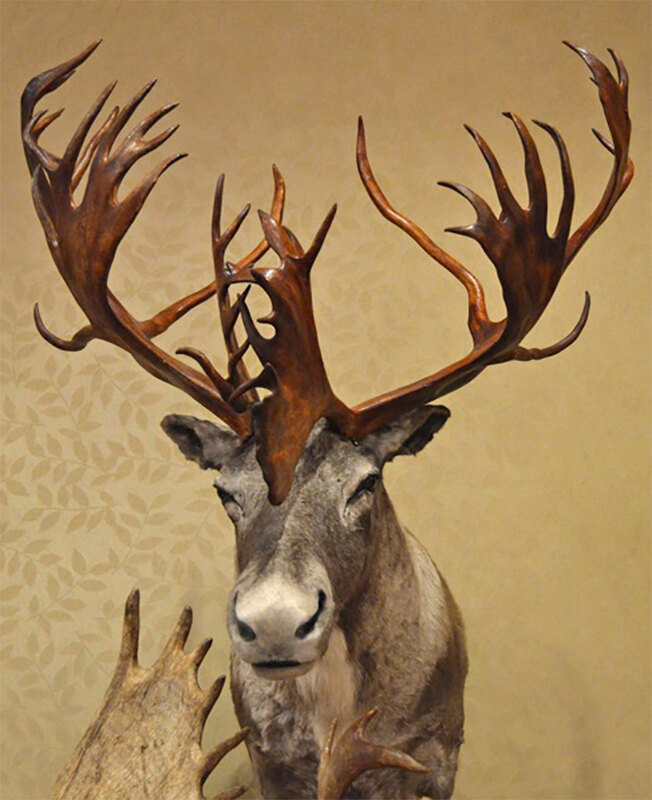 Jeff’s newly-crowned World Record Woodland Caribou is truly an outstanding animal and is the first to receive the Ishi award for the past ten years. With a score of 375 0/8, this monarch is almost 30 inches above the previous World Record taken in 1966 and very deserving of bowhunting’s most rare and distinctive award.